Guinn Investments, Inc. (formerly Bennett & Guinn, Inc.) has drilled over 85 oil and gas wells in North Texas since 1981, with fifty-two completed producers for a 61% success rate. Guinn Investments, Inc. currently operates over 24 wells on 15 different leases in Young and Throckmorton Counties. Company management believes strongly in focusing exploration in a specific area using quality geological and seismic acquisition to lease, drill, and develop high reserve reef prospects. Guinn Investments, Inc.'s development highlights in Young County include the discovery of a Mississippian Reef on the Marchman lease drilled in 1986, which has produced over 408, 739 barrels of oil and 1,074,935 MCF of gas thru August of 2017, and is still producing 6 BOPD and over 140 MCFPD from three wells. The Jim Guinn (Miss.) field discovered on the Kisinger lease in 1997 has produced over 243,000 barrels of oil and 210,688 MCF in the Mississippian zone from two wells. The Cottle Mississippian Reef drilled in 2001 has produced over 219,888 barrels of oil and 117,772 MCF of gas from one well and is still flowing 32 BOPD and 20 MCFPD. Other projects include a three square mile 3-D seismic shoot and the drilling and completing of three additional Mississippian reef producers in Young County. Jim Guinn, Sr. was only allowed three years to enjoy the oil and gas business after incorporating Guinn Investments, Inc. in 1986. He died at the age of 51 in August of 1989 after a two month battle with cancer. However, according to his son Jim Guinn, Jr., President of Guinn Investments, Inc., "I still hear stories 28 years later of the effect of Dad's commitment to his Christian faith and business principles in the oilfield. My goal since taking over has been to successfully continue the same standard of excellence." Guinn Investments, Inc. has been blessed with an excellent support team of geologists, geophysicists, land men, title attorneys, and production and office managers over the years, which allows it to compete effectively with a streamlined staff. Jim Andrews currently handles the duties of production manager as he has expertly done since 1989 and Mary Alice Nance since 2001 as office manager keeping the office running smoothly. 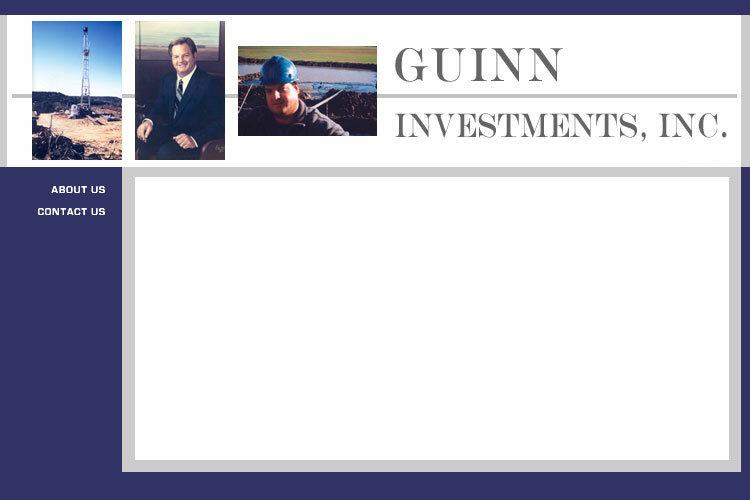 Jim Guinn, Jr. continues to oversee all operations as President of Guinn Investments, Inc since 1989. "I am still fascinated with the oil and gas business and learn something new practically every day," commented Guinn. "We appreciate our educated, loyal group of investors which allows us to patiently pursue the development and drilling of quality prospects." Guinn Investments, Inc. continues to operate on the biblical principal of Luke 6:31 by treating others the way we want to be treated.